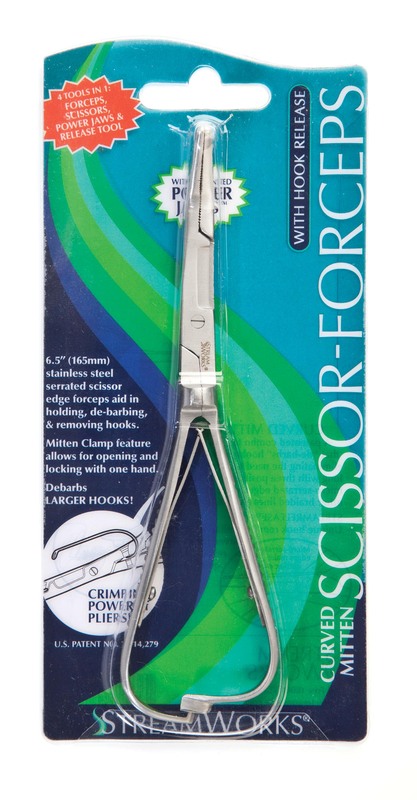 Power Jaws™ provide the gripping power of pliers eliminating the need to carry multiple tools. 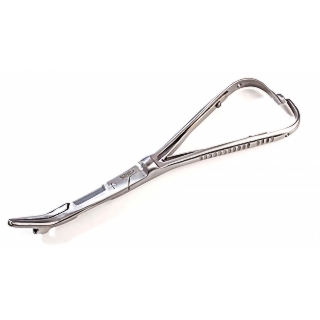 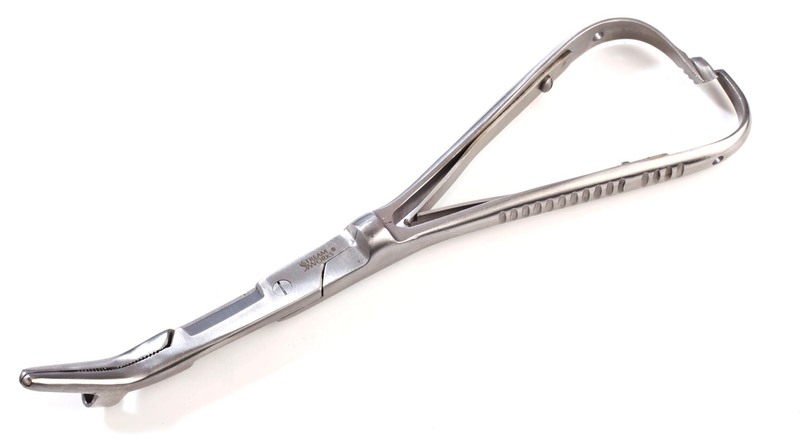 • 6.5” (16.5 CM) Mitten clamp forceps allow for opening and locking with one hand. 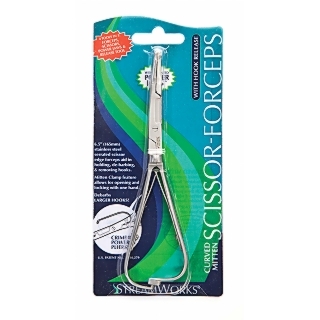 • Hardened stainless steel scissors will not rust.